**I added as an Enterprise Subscription, therefore all phones and UDPs will subscribe to this service. 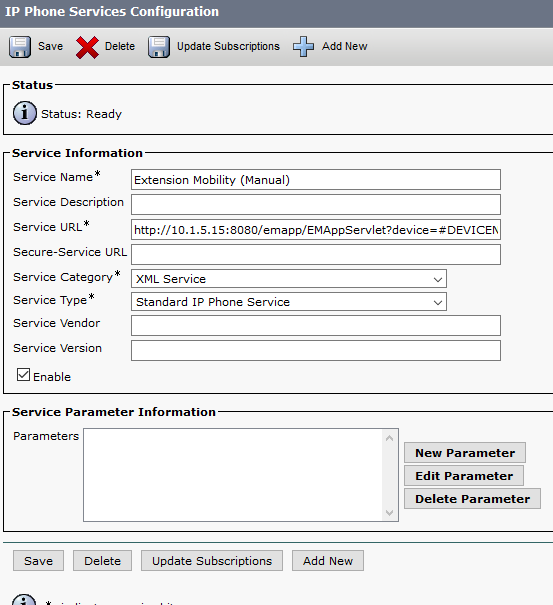 Then just add an End User account to CUCM and associate the UDP for Extension Mobility. Simples!